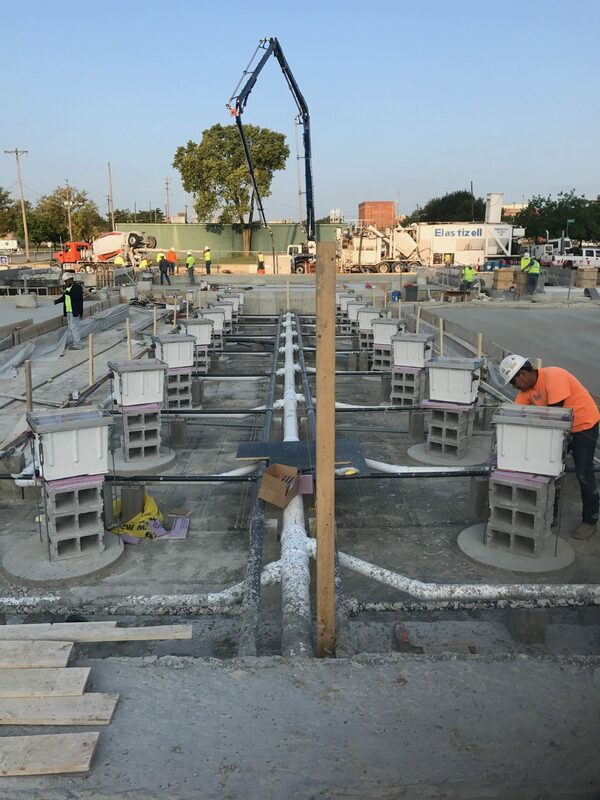 Construction is still underway as Southern Aquatics works hard to create a beautiful fountain for the new Scioto Peninsula Park and Garage, located in Columbus, OH. 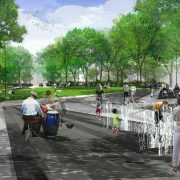 The park will have beautiful themed gardens including a plaza, an area for children to play and a large-scale fountain. 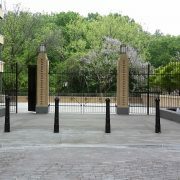 This can be seen in the renderings below. 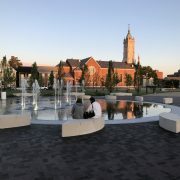 The park is in front of top-rated science museum, Center of Science and Industry (COSI). 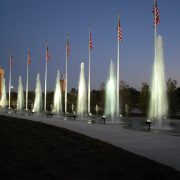 It is adjacent to Veteran’s Memorial Museum, which also includes another fountain constructed by Southern Aquatics. 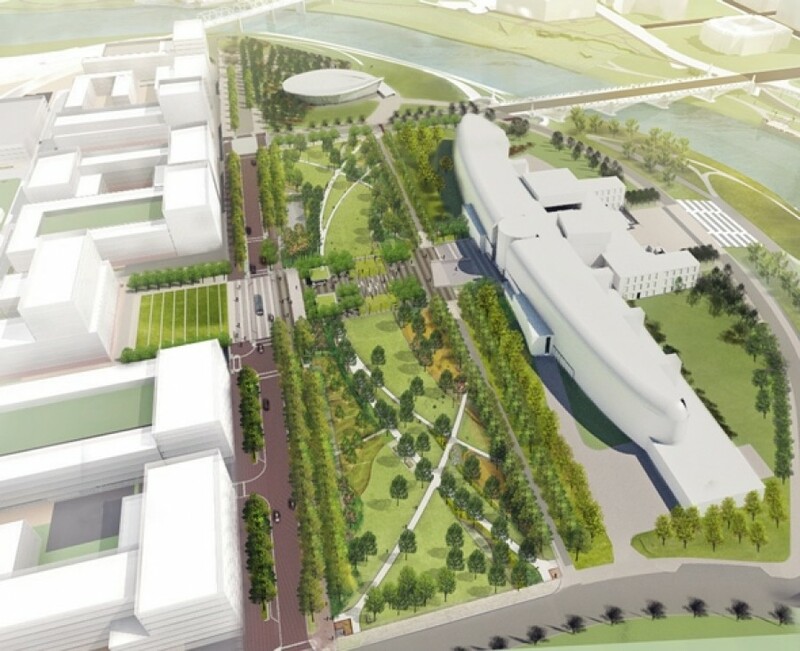 This will be a welcomed public space to add to COSI, and the over all Scioto Peninsula Plan. The Scioto Peninsula Plan is a huge undertaking to improve upon the neighborhood with additional cultural, residential, office and retail space. 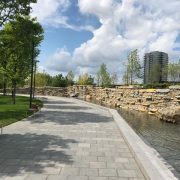 Corna Kokosing is serving as the general contractor for Scioto Peninsula Park and Garage, and MKSK is serving as the architect. 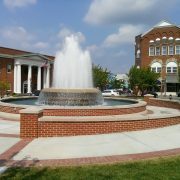 The estimated completion will be sometime in late fall. 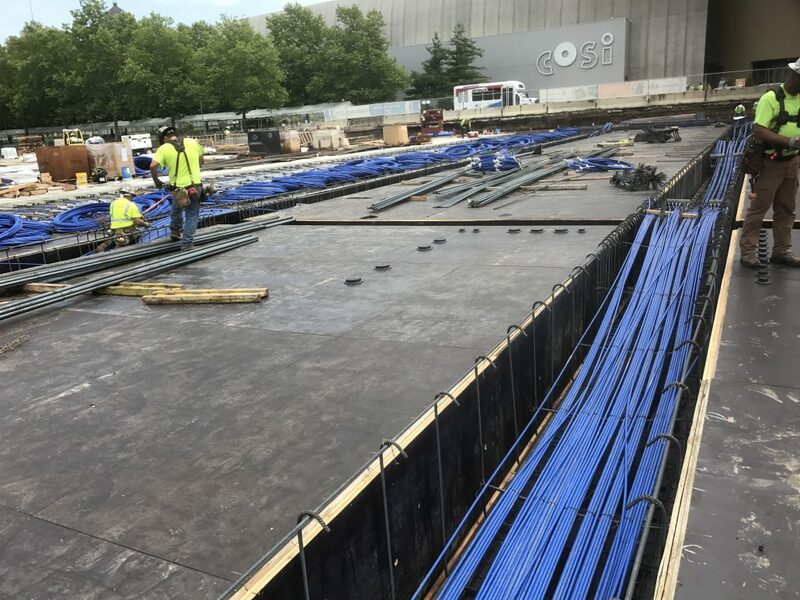 Southern Aquatics is honored to be included on this innovative and impressive project, and we can’t wait to reveal the end product. Stay Tuned!